This is little Mason, the pride and joy of his parents. Mason’s mom and dad are avid gardeners and really loved all of the composite newborn photographs that I create. So, I created several different images of Mason that brought together both of their loves. 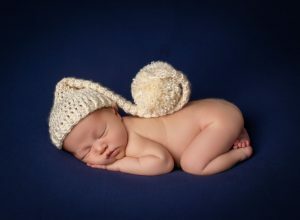 This photograph of Mason as a “seed” turned out so beautifully that I printed it as a large canvas for my own studio. Mom and Dad loved it too and chose it as the cover for their portrait box. Starting a family comes easy for some, but for many of us, it is a struggle. After a long haul with many ups and downs, God blessed them with this little boy. After falling soundly asleep on his daddy’s chest, transferring little Mason to this tiny bed was a piece of cake. Mason fits perfectly in his daddy’s hands right now, but one day, he’ll stand shoulder to shoulder with him. A little homage to all the future camping trips Mason will enjoy. So content in his beautiful momma’s arms, Mason decided to be awake for a while. Even when I create several composites for a family’s newborn session, I always make sure to create classic photographs as well where the focus is solely on your baby. Mason looks so serene in this bonnet and swaddle. Here Mason is dreaming in the river. Making sure to take several close-ups for Mom and Dad, this sweet photo of Mason sleeping is just adorable. When I was coming up with garden theme newborn photo ideas, I realized I didn’t know exactly what kind of gardening his parents loved. So I covered all the bases from flowers to landscaping that included water to produce! And finally this gorgeous first family portrait. One day Mom and Dad will look back at this photo and be amazed at just how much all of them have changed. If you would like to have a newborn photography session that highlights the things your family loves, contact me today. I have 2 newborn spots left for September, 4 newborn spots for October and a few others for the remaining months of the year.